We have been watching the merger of Starwood Preferred Guest and Marriott unfold for a long time now. The next big phase, the combining of their separate reward programs, will happen in August. With the latest announcements from Marriott, we now know the future category of each property in the merged rewards programs come August, that all-suite SPG properties will be included in the merged award chart and price as Category 7 (60k points) through 2018 (score! ), the new Cash + Points award pricing, and the sad fate of Marriott Travel Packages. Here’s a brief history if you have no idea what I’m talking about. What category each SPG, Marriott, and Ritz-Carlton hotel would be assigned to (we got a little preview here, but were in the dark about the majority of properties). What the updated Cash + Points award pricing will look like. The fate of Marriott Travel Packages. And now we have answers to all of those, along with a correction to a prior wrong assumption–about all-suite SPG properties that will indeed be bookable with 60k Marriott Rewards in August–which is fantastic news. Once again, we’re left with a lot of information to digest, so today I’m just going to cover question one in terms of how the new unified program’s prices compare to the old and strategies to employ now/in August to make the most of the current situation. I’ll get to the rest at the beginning of the week in Part II. All 6,500 properties that will participate in the new merged rewards program have been assigned an award category, and you can see them all (and search/perform basic sort funtions) here. Loyalty Lobby has kindly transcribed that data into an excel spreadsheet which you can download for yourself. In general, much like what we expected to see, the top tier Marriott hotels are getting more expensive and top tier SPG properties are getting cheaper compared to their current award charts. While I’m sure those percentages are accurate compared to what prices are on Marriott’s award chart today, as Frequent Miler pointed out, they don’t take into account the comparatively large devaluation Marriott Rewards suffered in March. The shuffling of hotel award categories in an award program is standard annual behavior, but March’s devaluation was worse than previous years’. In short, it looks like Marriott increased their award prices at a higher rate than usual so that they could claim to have lowered more award prices with the merger in August. I do find Marriott’s manipulation of award categories in order to shed a more positive light on the upcoming August changes slick and kind of gross, but the bottom line remains that more hotels are going down in price than up. At least for pricing in 2018. The looming question that we won’t know the answer to until later in 2019, that will truly define whether these award pricing changes are positive are negative, is how often award nights will price at the top end (peak) or bottom end (off-peak) of their category. Standard pricing only lasts through 2018. We already knew that all top tier SPG properties (currently in SPG’s Category 7) that cost 30k to 35k SPG points–the equivalent of 90 to 105k Marriott Rewards–would price at a max of 60k Marriott Rewards a night (20k SPG points) come August, which is Category 7 on the new Marriott Rewards chart. That is what Book Top Tier SPG Properties Between August & December 2018 is all about. Wires were crossed, however, when it came to all-suite SPG properties: the ones that currently price off of the SPG award chart as they are so expensive, like the St. Regis Bora Bora. It was my understanding that those properties would also price outside of the new merged award chart. And now we know that’s not the case as these aspirational properties have been slotted in Category 8 on the new award chart! That means you will be able to book them at Category 7 Standard pricing through 2018 as Category 8 and Peak pricing won’t be introduced until 2019. That means in August you’ll pay just 60k Marriott Rewards per night (20k SPG points per night) instead of the 120K to 360K Marriott Rewards per night (40k to 120k SPG points per night) you’d need today. Not to mention that booking four nights will earn you a fifth night free, which brings the price down to 48k Marriott Rewards (16k SPG points) per night. That is unbelievable for properties that can cost multiple thousands of dollars a night. The first thing you should do if you haven’t already is to check what the future price of your desired SPG/Marriott/Ritz hotel(s) will be come August. If you’ve got trips in the pipeline but haven’t checked out hotel award pricing or availability, now’s the time. You can book hotels up to a year in advance. If the award price in August is cheaper and you have enough points to book it now at the higher price/your travel date isn’t more than a year from now, consider doing so as a means of holding the award space as demand for those properties is obviously going to jump. Marriott has publicly confirmed they will not give refunds for hotels booked now that will drop in price come August. This is what you’ll have to do if you want “hold” the award space: Book now if you can (or as soon as you can), cancel once the award prices change, and then immediately re-book. There is some risk that in the time you cancel and re-book someone else will book it, but this definitely gives you a better shot than not pre-booking at all. IMPORTANT NOTE: This will only work if you are outside the cancellation window. An even better strategy if you can manage would be to book now, double book once the prices drop in August, and then cancel your original more expensive booking to get the points book (and keep your cheaper booking). A good deal (31% or 39%, depending on the perspective you take) are getting more expensive. Book these hotels before August to lock in cheaper award prices. St Regis Maldives Vommuli Resort, currently prices off the SPG chart but will bookable for 60k Marriott Rewards in August! Buy SPG points with a 35% discount through July 20. 2. 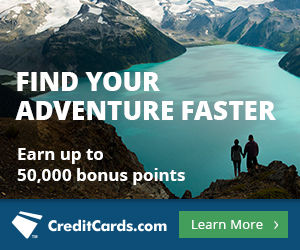 Open a Chase Marriott Rewards Card. 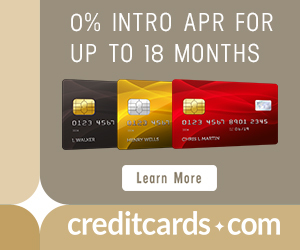 Through July 12, the Marriott Rewards Premier Plus Credit Card from Chase comes with 100,000 Marriott Rewards after spending $5,000 within three months of opening it. It will earn 2x Marriott points on everyday purchases, so with at least 110k points from meeting the minimum spend, you’ll have enough for at least one extra night in a future Category 7 (60k/night) hotel. Another 10k points ($5k in everyday spend) and you’d have enough for two extra nights at a Category 7. If you already have enough points to book the first couple nights, the third and fourth nights earned via $10k in spend on your new Marriott card will in fact earn you a fifth night since all five night award bookings get the fifth night free! The 5/24 rule does apply to this Chase card. However, the 5/24 rule does not apply for the Marriott Rewards Premier Business Card. It comes with 75,000 Marriott points for spending $3,000 within three months of opening the card and has no annual fee for the first year. We now know what every Starwood Preferred Guest, Marriott, and Ritz-Carlton hotel will be categorized as of August, which means it’s time to start your research and make some decisions. Figure out which hotels to book now, which to wait on. If you can, book hotels that will go down in price now, cancel once the price drops, and then immediately re-book. We also know that all-suite SPG properties will fall in the new Category 8, maxing out at 100k post 2018. But through 2018 you will be able to book these crazy luxurious properties for only 60k Marriott Rewards a night (or 48k a night if you can book four, as you’ll get the fifth night free)! This might influence whether or not you want to buy SPG points with the current discount (which ends July 20) or earn more points by opening a Chase Marriott card (100k bonus on the personal card ends July 12). Stay tuned for more on how Cash + Points award pricing fared as well as the fate of Travel Packages and how to deal with it. Previous articleIncredible Deal: 90k Iberia Avios for $350! Now that we know what each hotel’s category will be after August 1, can I book a “new” category 1-5 hotel with a hotel certificate from a Marriott Miles and Points purchase? The certificate doesn’t expire until January. There might be some great redemptions available. Any suggestions? We don’t know what is going to happen to existing hotel certificates that haven’t been booked in August. If you’re asking if you can book a future Cat 1 – 4 hotel now, with what is today a Cat 1 – 5 certificate (even though Cat 5 today and Cat 4 in August both cost 25k points), no, you cannot. Read The State of Marriott Travel Packages & Strategy Moving Forward for more info. The New York Marriott Marquis is a category 9 hotel right now and costs 45,000 points (not 30,000 points). “…and then immediately re-book. There is some risk that in the time you cancel and re-book someone else will book it, but this definitely gives you a better shot than not pre-booking at all. IMPORTANT NOTE: This will only work if you are outside the cancellation window. 1) Should it be inside or within the cancellation window? I retracted this specific advice in the post I wrote today about the official merger date announcement of August 18. I spoke to a Marriott rep that made me think otherwise. She told me if you book pre-merger and then call in to collect the difference in points you are owed on for property dropping in price August 18, there will be no cancellation (and therefore no re-entry of the award space into the award space pool) necessary, so no risk of losing your award nights. The rep did point out that if this is your circumstance, you should call in for the points refund as opposed to doing it online to ensure you keep your reservation.